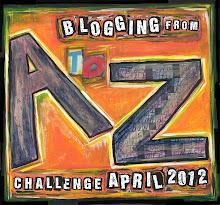 As the A to Z Challenge draws to a close I would like to take this space to extend a challenge to my readers. Become vigilant for opportunities to promote positive energy. I think we can all help make the world the positive place we want it to be by actively working to find ways to do good through our words and actions! 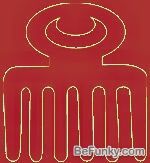 Akoben is the adinkra symbol that represents vigilance. It is the war horn that reminds us to be ready…..I think we all can become more vigilant about where we can make positive change. If we actively look for opportunities in our everyday lives to promote positive words, thoughts and actions we will collectively move the ball forward in the right direction. So my friends take up the positive “war horn” as you go to work, school and shopping. Let me know where you found opportunities to promote the positive!! As this A to Z challenge rolls on and heads towards its close I am inspired to remark on the sense of unity I have discovered. Despite having a very difficult time keeping pace this past week due to illness…..I have continued to feel a part of this A to Z train! Seeing all the #atozchallenge tweets and reading posts has been what made me try so hard to find a way to push through! And now that I am feelin’ better I am so glad and thankful for all the A to Z pull!! So for the letter U – I stand United with my fellow a to z bloggers. 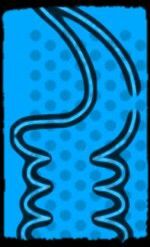 Tha adinkra symbol BESE SAKA represents unity, power and togetherness. I think it is the symbol that most accurately represents this challenge. The symbol visually represents cola nuts which is an agricultural product with an important role in Ghana and has influence in bringing people together. That is how I see the A to Z challenge an important influencer to bring folks together – So powerful!! Heres to a fantastic finish! 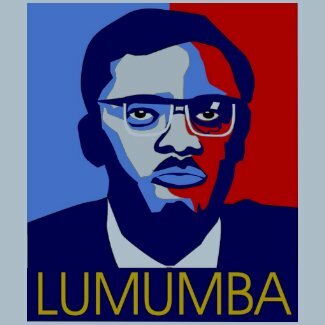 As I complete week two for the AtoZ Challenge I would like to talk about the great African leader Patrice Lumumba. He was the first elected Prime Minister of the Republic of the Congo (Democratic Republic of Congo today) after working to secure independence for his country from Belgium. Lumumba was only in office for 12 weeks before his government was overturned, he was imprisoned and executed. The series of tumultuous events that occurred in 1960 are referred to as the Congo Crisis. For such a short reign as leader of a country Mr Lumumba has left a tremendous legacy. He was known for the determination that he led with to help his countrymen gain independence. Also his strong belief in Pan-Africanism did not make him an African leader supported by the American or Belgium governments of the time. There are some questions as to whether the US played a part in the execution and further disposal of his body. We have to wonder whether The Democratic Republic of the Congo would be a much stronger government and world player if Patrice Lumumba had been allowed to continue his unifying work after the fragile period during which this country gained its independence. Having such a strong leader dedicated to positively connecting with other independent African countries clearly seems like it would have benefited the entire continent. These events lead me to ponder how wise it is for any country to interfere with the government and leadership of another. Our current global community has several instances where this is occurring. How will this affect the future of these nations positively or negatively?? I think we all can take a lesson from history!! In many parts of the world education is not looked upon as something a girl needs to survive. This is true in many countries on the African continent. We know that without a proper education these children will be unable to participate in the modern world successfully. Many people are familiar with the school built by Oprah Winfrey in South Africa to help address this issue but most are not working to find a way to offer support themselves to this issue. I have come across several organizations working to positively change the statistics for girls education on the African continent. Another organization that I found while surfing the net is Camfed. Since 1993, this UK Organization has fought poverty and AIDS by educating girls and empowering young women. Their programs have assisted and educated more than 1,451,600 children in of Zimbabwe, Zambia, Tanzania, Ghana and Malawi. Camfed uses a community-based, holistic approach to bring about change in these African nations. Have you been involved in any programs that help raise the education of girls around the world? I would love to hear about them. Please be sure to share a link here! OWO FORO ADOBE is the Adinkra symbol for steadfastness, prudence and diligence – this is the attitude we must take to make a difference in the education of girls around the world! 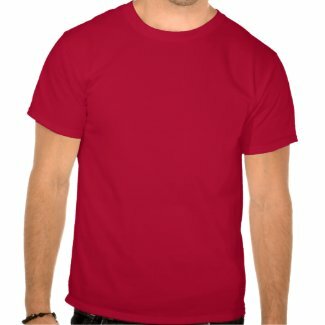 I have recieved some great suggestions that I would like to add to this post. The United Nations Girls Education Initiativeworks to assist national governments fulfill their responsibilities towards ensuring the right to education and gender equality for all children, girls and boys alike. This amazing organization promotes strategies that put the needs of the most disadvantaged, including girls and women, first in education policies, plans and budgets of the goverments they work with internationally. B….. Becca – Ghana Keep Movin’ On!! Today I would like to share a beautiful video that I came across sometime ago. I have held onto the link with the intention to share it here but never found quite the “right” moment. The video below is a beautiful tribute by the singer Becca to her home country Ghana in West Africa. As Becca sings about her positive wishes for Ghana we are treated to a variety of images that includes historical events, geographical wonders and famous Ghanaians. One of my favorite portions of the video is the opening because it captures footage of Ghana leader Kwame Nkrumah. I also just love the beautiful dress that the singer wears !! Gotta love how she hightlights her Duafe with the Black Stars!! One day I hope to travel to the beautiful country of Ghana. Have you been to the amazing country where Adinkra symbols originated? The Adinkra symbol Sankofa is a powerful statement to many across the African Diaspora. For many of us it represents our strong desire to reach back…way back to our ancestral home and learn about the culture our forefathers and mothers had to leave behind. We have much of that culture within us and we don’t even know it! As a salute to this powerful symbol that stands as a strong reminder of our journey to African knowledge I would like to share this photo of the artwork by Goddess Angelika I am so happy to see my enlightened Brothers and Sisters sharing the knowledge of the beautiful Adinkra symbols. This trend of sharing is the key for us all to join the powerful Sankofa journey. Wishing you Peace – Visions for Mpatapo today! September 21 is the International Day of Peace. We all are encouraged to promote world peace both locally and internationally. There are many things we can do individually to support the PEACE movement. Engaging with children and providing them with activities to express their wishes of peace is one of the most powerful means to promote peace. If the next generation understands that they have the power to make peace happen then they will actively work to create a peaceful world. One of the organizations that offers us a unique and creative way to express our thoughts of peace is Chalk4Peace. This is a global art project for youth using sidewalks and chalk! This is a simple concept that is so POWERFUL! Chalk4Peace are events held around the world to offer youth the opportunity to creatively express their visions of peace. The children are able to proudly show off their beautiful creations to the world. This positive expression will be a part of their understanding of how important their view is. Please drop over to visit the Chalk4Peace blog to list or find a Chalk4Peace event! Then be sure to share your beautiful creation here with me! Take a moment to pray for peace today — then go out and make Mpatapo happen! Running Duafe with Black Girls Run! 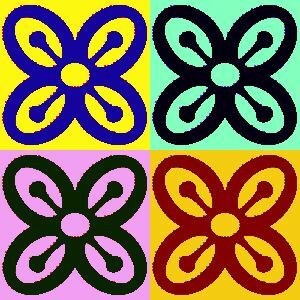 The Adinkra symbol Duafe represents beauty and desirable feminine qualities. Black Girls Run is a national organization that is helping African-American women to develop these positive qualities through running. The founders of this fantastic organization are encouraging Black women to focus on making fitness and healthy living a priority. Black women in the US have an extremely high rate of obesity, hypertension and diabetes. Exercise and healthy diet changes are two important areas that this organization is helping women to improve thus leading to lower obesity and poor health. The Black Girls Run Website offers running resources, local contacts for BGR, great healthy recipes, “runspiration” and so much more! It is truly a wonderful place for women just starting out in their running adventures and those who have an established “track” record! 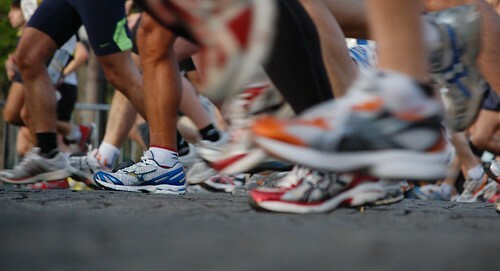 I applaud the ladies participating in these healthy endeavors for expressing their Duafe power! Strong work girls – keep up the great work! Sankofa is the Adinkra symbol that reminds us to return and get what was left behind. I believe this is a powerful concept for those of us who are descendants of enslaved Africans. Our ancestors worked hard to pass on history and cultural traditions but unfortunately much was lost. We all must work together to “find” and reclaim the history and traditions that were left behind. regions answering questions. The first player to reach the heart of Africa wins! What a great way for families to spend time together enhancing their knowledge of Africa. played since childhood and recently pulled out for my children. Many hot summer days were happily spent challenging my cousins again and again. What a nice feeling to pass on this traditional game to the next generation. Do you have a African centered or Traditional African game you love to play? Or maybe some great childhood memories – Please share in the comment section below!